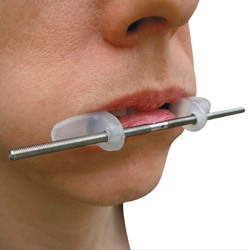 The JOUGLARD’s Mouth Spacer is used to prevent microstomi in the lips and the area around the lips of burn patients. The purpose of this device is to provide maximum utilization of the lips and mouth by providing pressure at the outset of treatment : avoiding retraction which leads to microstomi. 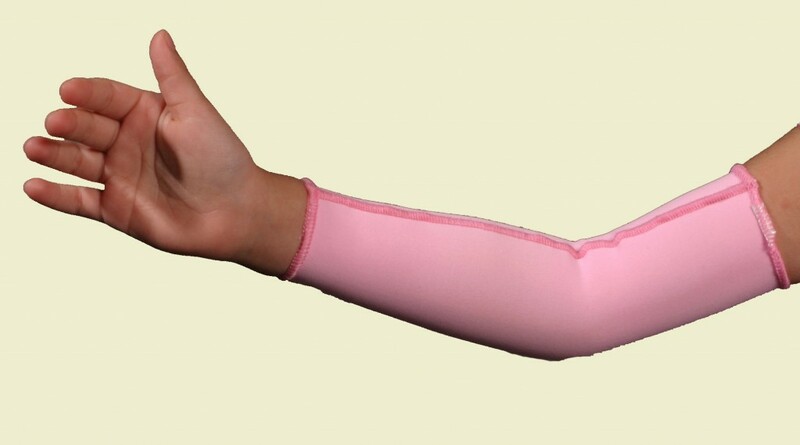 The use of this device permits equal healing which avoids microstomies and possible secondary surgical intervention. The wide section of the spacer is inserted into the cheek, forcing a counter pressure against the outer cheek. This internal pressure makes the compression more effective. The design of the JOUGLARD’s Mouth Spacer is constructed in such a way as to not increase the production of saliva ; this makes it possible to wear the device comfortably for extended periods of time. The screw on the mouth spacer can tighten or loosen the device providing ideal characteristics for treatment.